Download an electronic copy of MY MAMA EARTH. of the natural world along the way. This is a video of my book launch at Book Passage. I am dressed as Mama Earth and use props, puppets and multimedia to engaged various learning modalities. Each page of My Mama Earth by Susan B. Katz reveals the magic of Mother Nature and the beauty of the earth, from the deep sea to the African steppe to the plains of the American West. Katz’s poem narrates the fantastical journey of a child and a cat as Mama Earth reveals the wonders of nature: “My mama sets the birds in flight / She gives them nests to sleep at night … My mama makes the hippos snore / And might lions proudly roar.” Melissa Launay’s gouache illustrations – like opaque watercolor – are bursting with vivid details for children to discover, from dragonflies to dolphins to faraway stars. Katz is a National Board Certified bilingual teacher and the founder of ConnectingAuthors, a nonprofit that brings authors into schools as role models of literacy and the arts. Her first book, ABC Baby Me! was published in 2010. My Mama Earth was named a Top Green Toy of 2012 by Education.com. The symbol of Earth as Mother is the focal point of this beautiful picture book, written by Susan B. Katz and illustrated by Melissa Launay. Readers follow one boy’s journey throughout the day and around the world as he discovers the wonder and beauty of nature. Rhyming text and vibrant illustrations make this a perfect read for Earth Day, reminding young readers of the importance of safeguarding the planet. Completing the message, Barefoot Books prints only with vegetable-based ink and uses pulp from sustainable sources. Brilliant and Beautiful Children's Book! My Mama Earth is an absolutely enchanting children’s book. The illustrations are extraordinary, as is the poetic, colorful writing. Huge kudos to both the author and the illustrator for creating a truly special picture book for kids. I’m generally not drawn to rhyme, but the ease with which Ms. Katz weaves together language is a joy to behold. She’s a gifted and versatile storyteller. And Ms. Launay’s artistic talents are simply remarkable. My only warning with this book is that you may need more than one copy, because your kids are going to be asking for it every night, and it’s sure to get worn out. An exceptional work. A true stand out in the saturated kid’s market. I hope to see more from this excellent team! This new book, by Susan Katz, is just fabulous!! I brought it home to my 6 year old granddaughter, who read it aloud to me. She loved the rhythm of the text and so enjoyed the treasure hunt, trying to find the boy, the cat, and the uniquely drawn Mama Earth on each page. I have bought several more copies, what a beautiful gift to send. 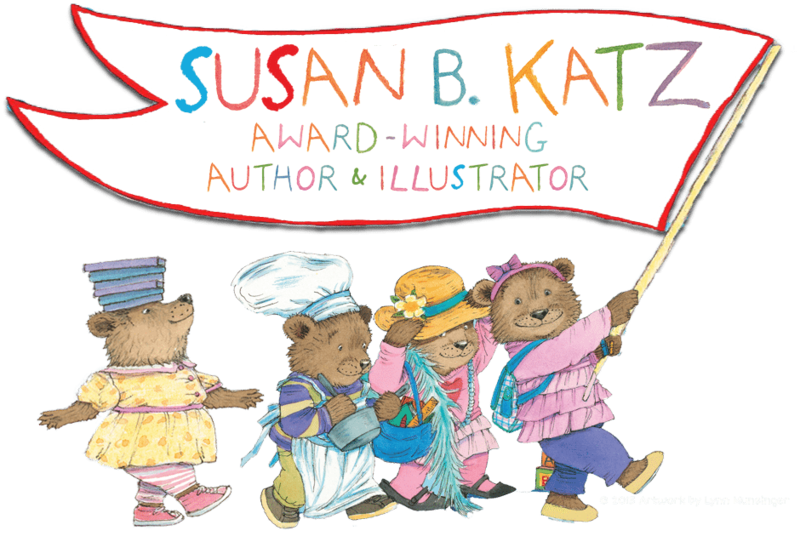 Susan B. Katz, author and Melissa Launay, illustrator have created a classic book blending nature and the nurturing love between a mother and her child. The pictures and rhymes will take you away from your work week and remind you what it means to be in touch with the earth and your inner sanctuary. It is beautiful. I love these nature based books for my kids. There’s a lot of children’s books out there that stray from what is meaningful and i think this one has great purpose and insights that can be taught to children from a young age. 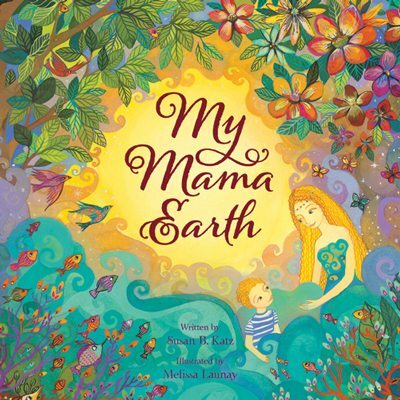 My Mama Earth is a great gift or personal purchase for your own kids! My Mama Earth still gets rave reviews! I’ve given these away as gifts and mothers love reading it to their children. There is also a web site that has a lullaby on YouTube. The book is award-winning! Perfect gift for any child or for a baby shower. It is a beautifully illustrated book with a meaningful story for all ages, including adults. he was enchanted by the words and illustrations…..
a beautiful story about mothers, children and the world we share. A young child – it could be a girl or a boy – watches the rising sun, thinking of all the glory that its mother and mother Earth brings to our lives. The rhyming text is lyrical and soothing, as the young child thinks of all the places in the Earth that bring him a feeling of wonder and love. And weaves her magic till day’s done. Melissa Launay’s illustrations richly develop the themes and mood of the text. The settings bring to mind all that we love about spending time in nature. While they are not specific places, they draw children into imagining what it would be like to sit under a tree, watch lions roar, or swim with dolphins. Launay’s paintings interweave lush settings with a vision of mama Earth, with long flowing hair. Launay’s Mama Earth will appeal to many young children, drawing on a sense of fairy tales and imagination. Sweet and beautiful illustrations that tell a simple story of Mother Earth and the gifts she has given us. Great book for parents who lean toward Goddess based religions such as Pagan or Wicca. tranquility and love in her readers. “My mama sets the sun out west. lyrical verses that demonstrate the great bond between a mother and child. My Mama Earth by Susan B. Katz.